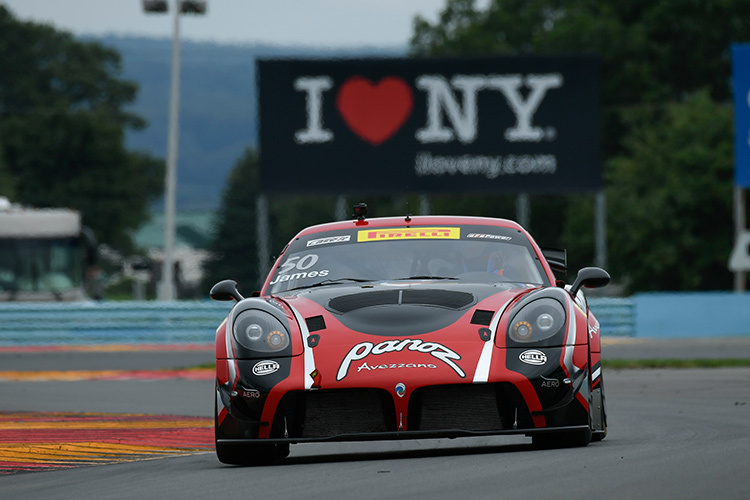 Ian James puts the #50 Panoz Avezzano on pole, before going on to secure a fifth win, sixth class win, this season in the final round of the GTS Championship also securing the Manufacturer’s Championship. Sept. 2, 2018, Watkins Glen, NY. 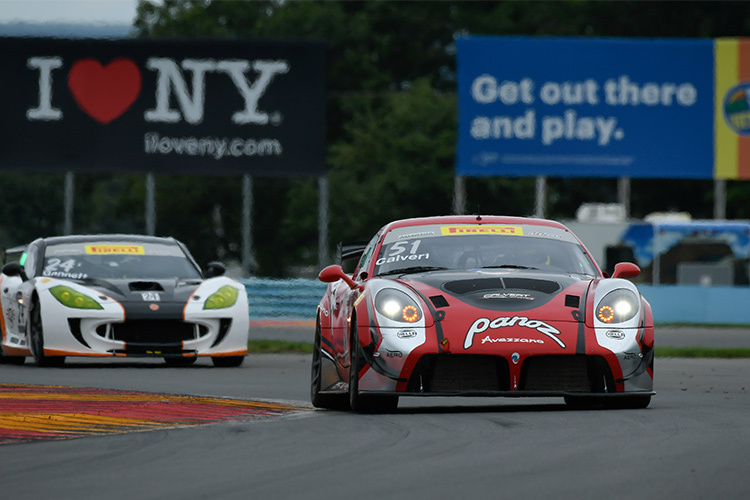 – Ian James secured his fourth and fifth pole of the 2018 season at Watkins Glen this weekend and followed through to secure his fifth win, sixth class win, in today’s Race 2 at Watkins Glen International. This comes after a second-place finish in yesterday’s Race 1. 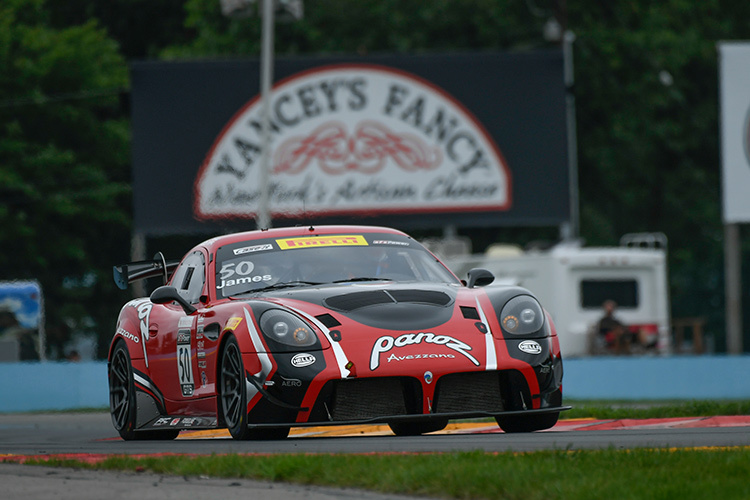 Calculating points, this also secures Panoz the Manufacturer’s Championship title, thanks to the number of wins. In Race 1, James was overtaken by Jade Buford in the #55 Ford Mustang at the start and despite continuous chasing, couldn’t claim back the lead. 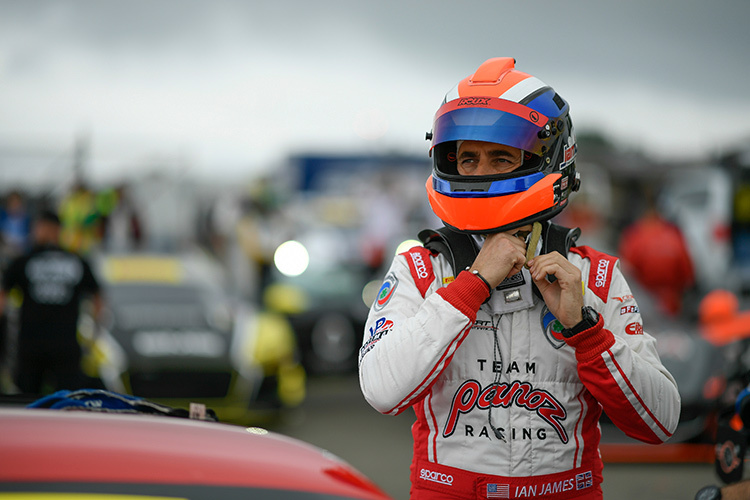 In Race 2, James managed to keep the lead from the start and despite Buford being hot on his tails, managed to take the checkered flag at the top of the leaderboard. Luck was not on Preston Calvert’s side in the #51 Panoz Avezzano yesterday morning during qualifying, with tire issues making the car almost impossible to steer. Without the kind of timed-lap that he’d hoped for and looked like he’d achieve in practice, Calvert started Race 1 at the back of the field although fought hard to end the race 15th, eighth in class. In today’s race, Calvert put on a strong performance, making quick and easy work of the traffic, and made the top-five in class. Unfortunately a spin on the penultimate lap whilst trying to avoid a competitor, cost him dearly and Calvert finished in 19th, 11th in class. 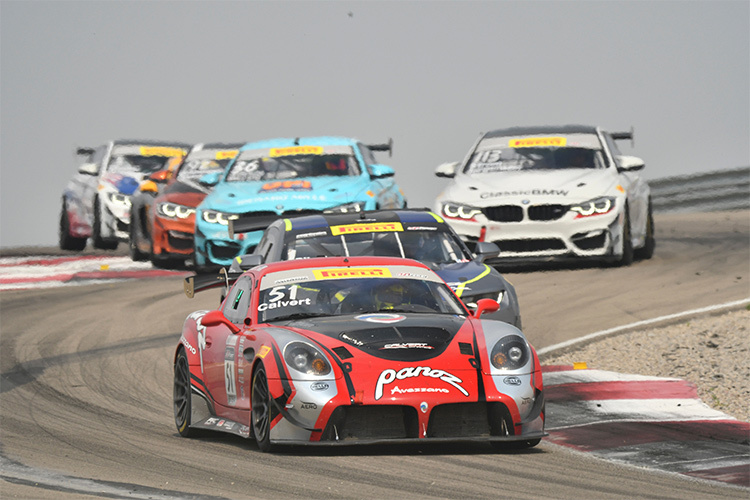 Further to this weekend, Team Panoz Racing is planning to compete in the Pirelli World Challenge’s Intercontinental GT Challenge, October, 26-28, 2018 at the WeatherTech Raceway Laguna Seca track in Monterey. This would be the first endurance test for the Panoz Avezzano GT, since the race car’s debut in 2017. Behind the wheel would be the team’s three regular drivers, Ian James, Preston Calvert and Mathew Keegan.